At freud we manufacture perfection. To maintain the excellence of our products at unmatchable levels, we put innovation at the heart of our business. We own and control the entire production process, with a full and strict monitoring over quality, across all our plants in Italy. The continuous investment in research & development is one of our strongest beliefs. This, combined with freud strong engineering competence and advanced technologies, results in products with innovative features, extreme precision and extended lifetime. Our commitment to design new tools for fulfilling your needs never ends: innovation is our tradition and our future. 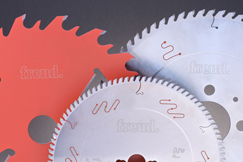 freud premium quality cutting tools are engineered with unique and innovative features, to guarantee a superior and long-lasting performance and support you in your daily challenges. Our innovative coatings for industrial and professional applications (Silver I.C.E., Perma-SHIELD and Exrim) provide superior protection against heat, wear and friction. As a result, the blades perform better and with an extended lifetime. freud distinctive anti-vibration slots, available also with thermal-plastic polyurethane filling, improve the balance of the blade, reducing both vibration and noise level. Not only, our innovative solutions dedicated to the tooth designs and brazing, as the Supersquare tooth and the Tri-Metal Brazing, deliver maximum durability and multiple sharpening, maximizing your investments. Amongst freud most revolutionary innovations, the High Speed ISOprofil (H.S.I), an exclusive technology dedicated to the window tooling industry that offer remarkable productivity and cost savings. H.S.I. takes the advantages of the ISOprofil (knives re-sharpenable up to 6 times) at high speed (CNC machines). At freud, we are proud of our made in Italy. 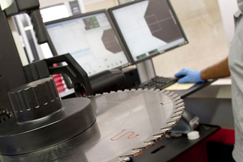 Our superior quality cutting tools are manufactured in our Italian plants, using only premium raw materials. We distinguish ourselves from competition, for a unique in the world, in-house production of Carbide. Our TiCo, a specially formulated, highly compact combination of Titanium and Cobalt Carbide, ensures maximum precision and long lasting sharpness of the cutting edge. 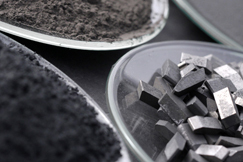 The ability to formulate dedicated Carbide grades for each application, guarantees highest performance in each application.